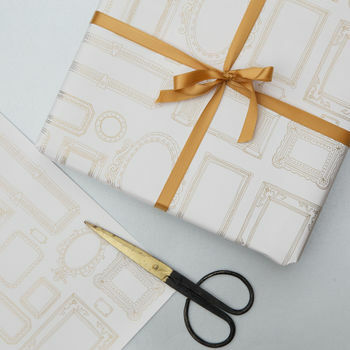 Metallic Gold Frames Gift Wrap - a stunning wrapping paper for weddings and Father's Day. 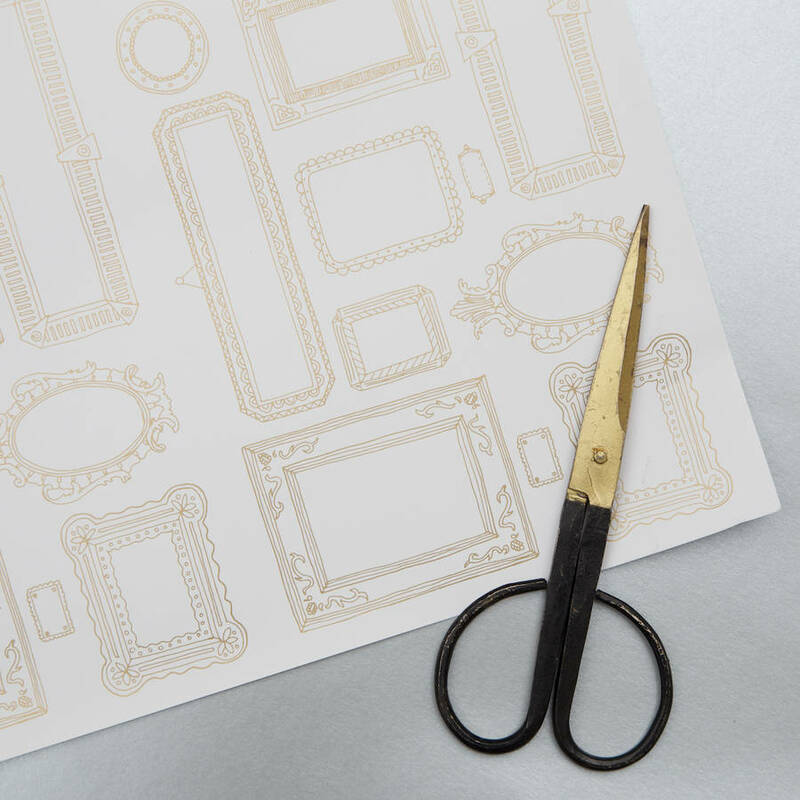 WAS £4.30 NOW £2.15 - HALF PRICE. Great for Christmas wrap too- it's perfect for the metallics Christmas trend. 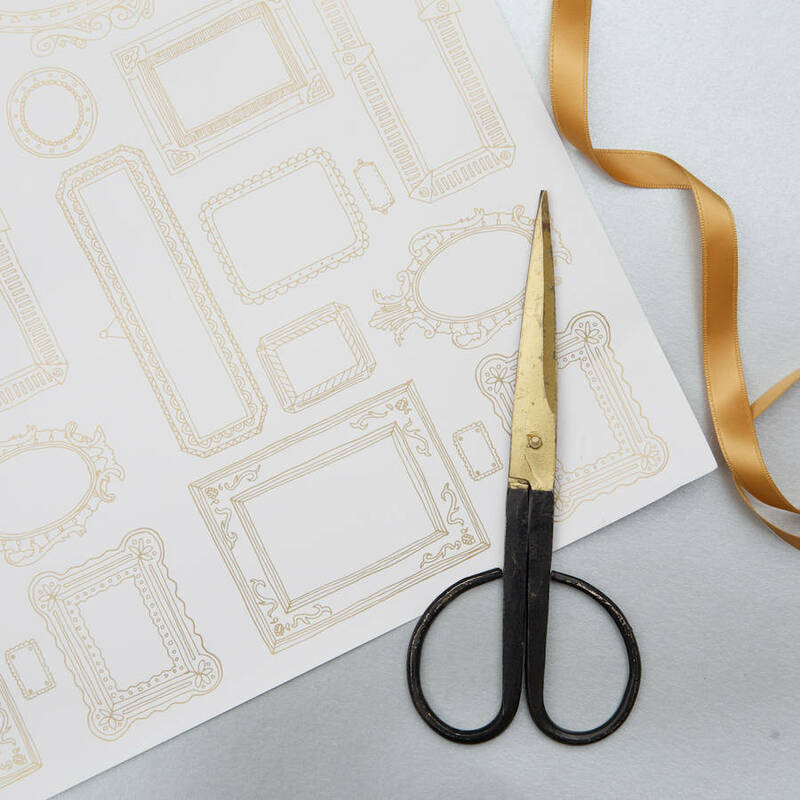 Our brilliant wrapping paper - quirky frames printed in metallic gold ink - is the perfect way to add an on trend finishing touch to your presents. Copyright : Claire Close Studio. 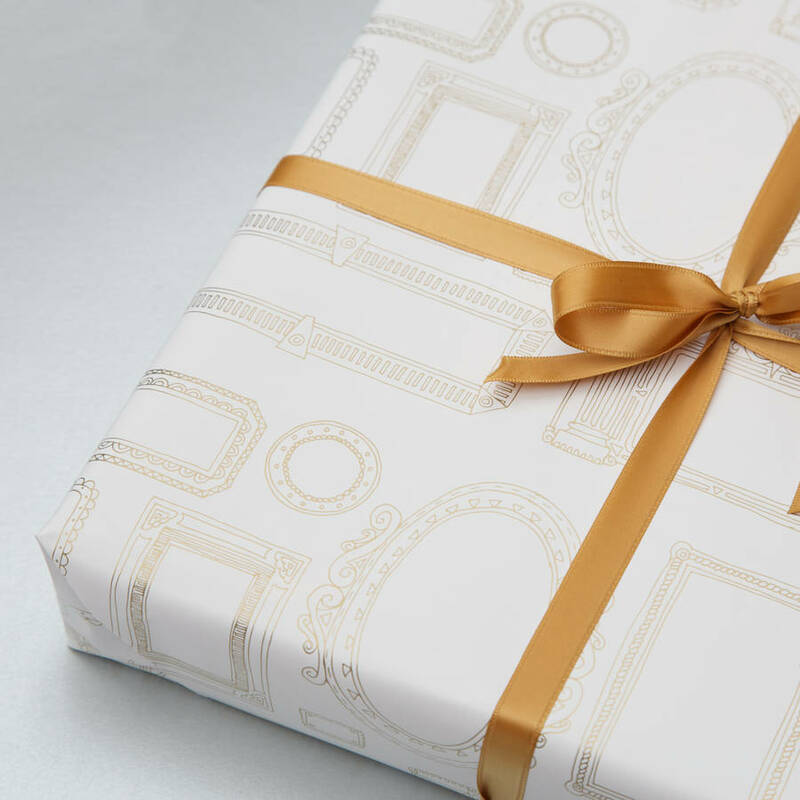 Ribbon shown in product photos is not included.